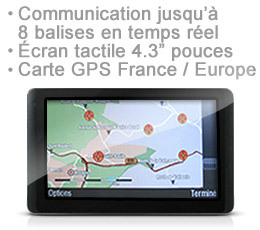 Touchscreen is a standalone GPS with integrated mapping France or Europe. through sending and receiving SMS. 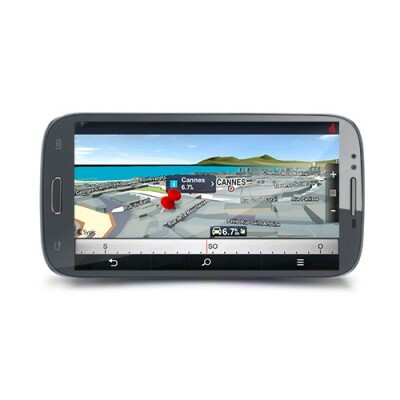 The touchscreen GPS makes it easier to find and the positions tracker TR-LA-700 in real-time mapping. 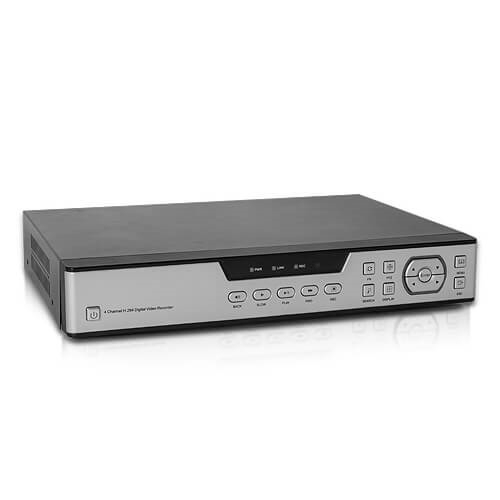 the screen does not need to login server for communicating with the tag (cost of SMS for each position request). 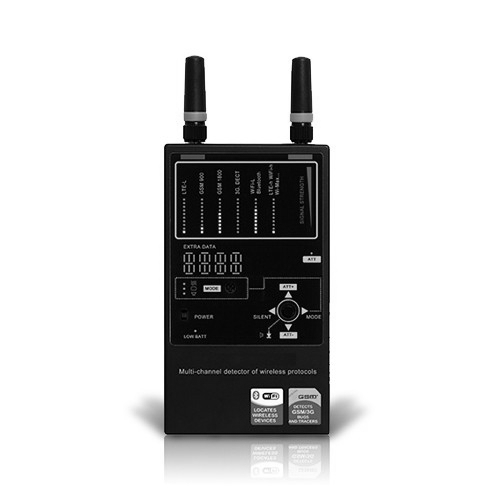 You can choose your GSM network provider (FRANCE and EUROPE). 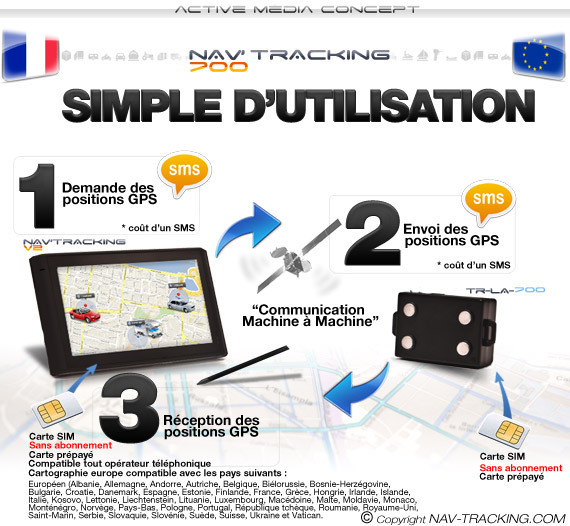 This will allow you to more easily locate your geo tags in France or abroad, because the GSM network is much wider than GPRS. 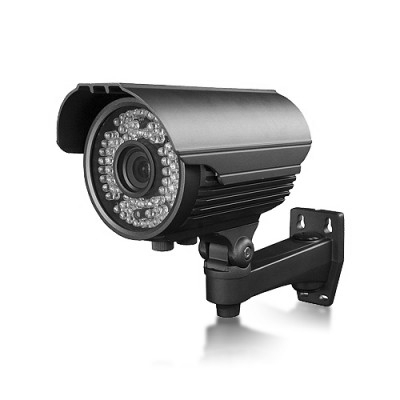 - Receive real-time positions of tracers TR-LA-700. 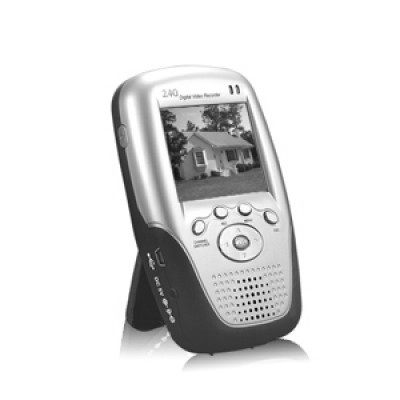 - Be alerted in real time when the tag detects a shock, motion or vibration. 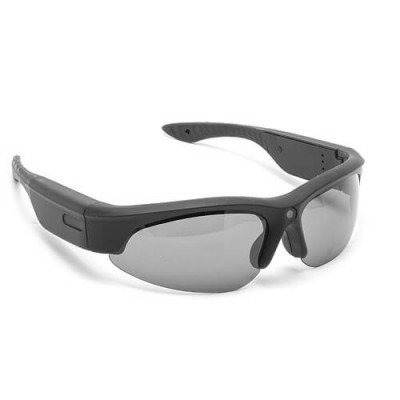 - Can accept tags from January to August in real-time RT-THE GPS-700. 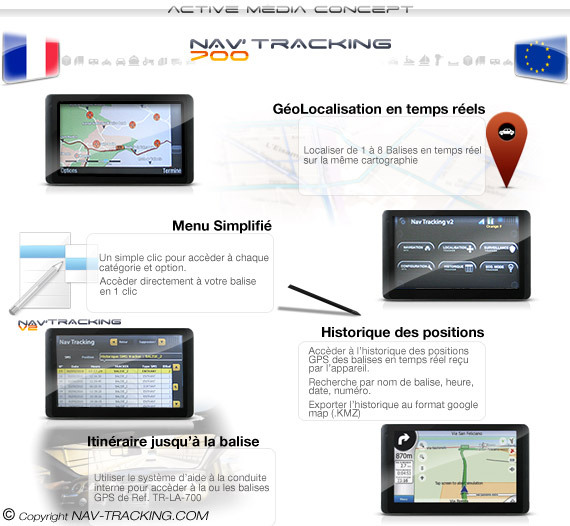 - Calculates the route automatically between the screen and the GPS tracker TR-LA-700 using the internal GPS tracker. 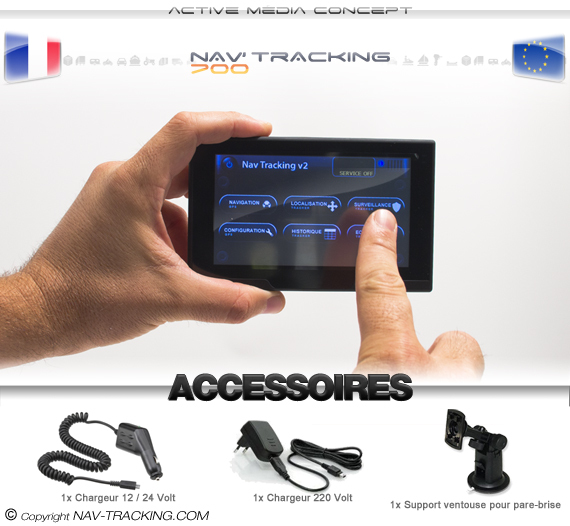 - Set the tracker GPS in "energy saving"
- Only works with tags LA-TR-700. 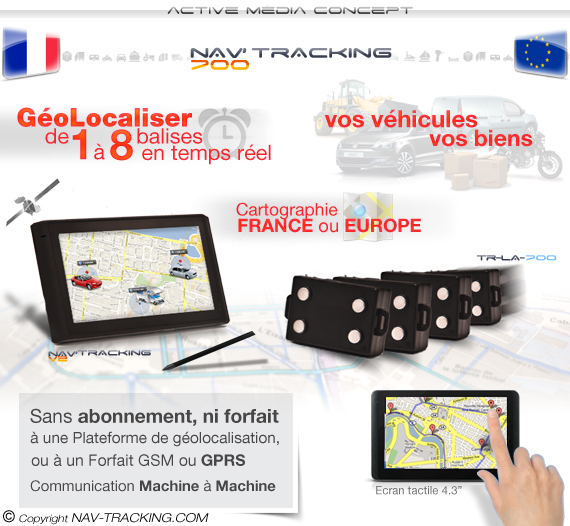 - Can be used as a GPS navigation for driving assistance (MAP 3D, POIs, route searching ...).